Designed for high-risk environments, with 8-base curve for enhanced lateral protection. 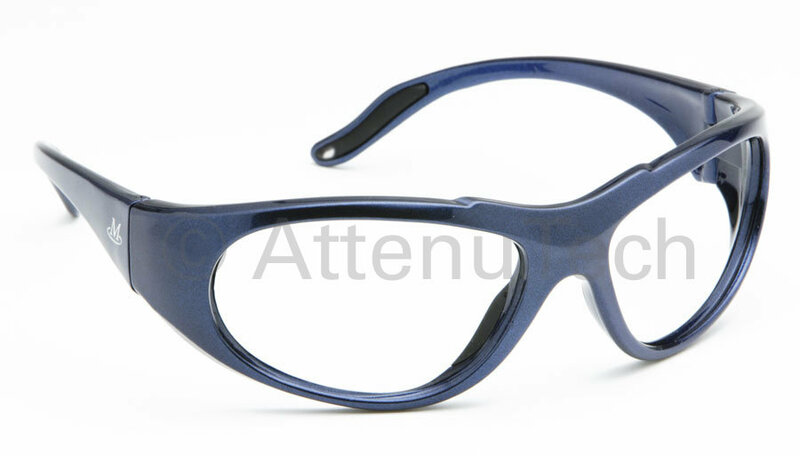 Occupational eyewear to protect against injury. Exclusive 8-base lens curve for extended field of vision and enhanced lateral protection from airborne contaminants, splash and other hazards. Inserts: Soft, thermo polymer inserts on temples for a secure, comfortable grip. Warranty: All MicroLite® leaded eyewear comes with a one year warranty from the date of sale. Specification Sheet: Download the MicroLite8 Specification Information Sheet in PDF. Lenses: Plano eyewear features polycarbonate lenses with anti-scratch and anti-reflective coatings. Rx (All models) eyewear features TRIVEX™ lenses with anti-scratch coating. Available in: Plano, Single Vision (Rx), Bifocal (Rx), and Progressive (Rx). Bonus Accessories: Adjustable ClickFit retaining cord, protective case, and microfiber bag (doubles as cleaning cloth).